The Inca OnsetM from Fujifilm is a small-format, high quality digital printer designed to address the evolving needs of the commercial, display graphics, packaging and industrial print markets. Onset M enables the production of a broad range of work that can be printed with analog processes, but with much faster turnarounds, creating a profitable solution for short run work. This B1 (27.8″ x 39.4”) format inkjet printer is robustly designed to output short run jobs with remarkable print quality. Using Fujifilm Uvijet inks and Fujifilm Dimatix printheads, the Onset M produces vibrant colors, smooth gradients and fine text that rivals offset print. With Onset M as a digital inkjet solution, the turnaround time for short run jobs is much faster than with traditional processes. OnsetM is built for production and reliability. 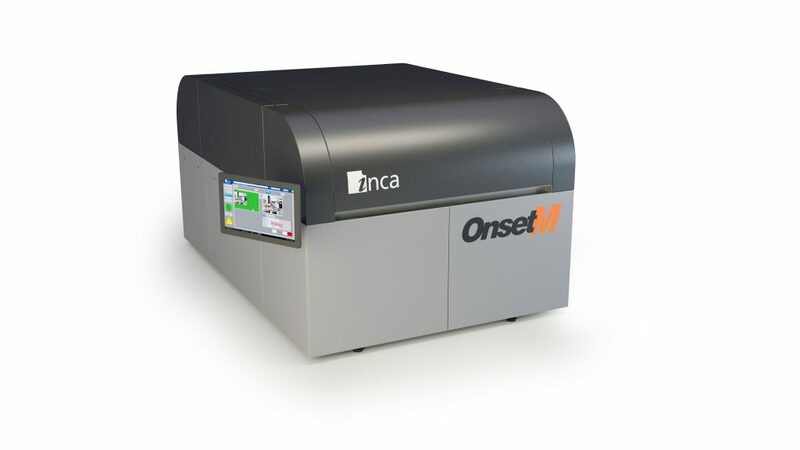 The print quality of OnsetM is driven by Inca’s intelligent features for precise ink droplet placement, coupled with Dimatix printheads configured in the printer. The small 7 picoliter ink drop produces crisp 4 pt. text and smooth color transitions ideal for close viewing distances. Proven Inca Digital technology and robust build quality, along with proven expert integration with Uvijet inks and Dimatix printheads create a powerful short run printing solution. Many of the intelligent technologies of the established Onset X Series and SpyderX Series of printers from Inca and Fujifilm are equipped on OnsetM. 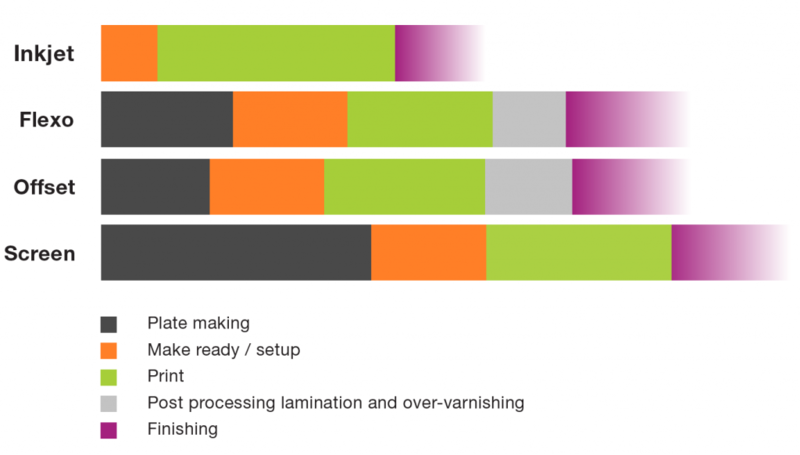 The Fujifilm Uvijet KX ink series has been designed specifically for high-production printing on OnsetM. High pigment loading results in vibrant colors and allows for accurate color reproduction. KX inks are also designed for finishing performance and provide excellent cut, crease and folding capability. OnsetM’s Uvijet inks are developed by Fujifilm Speciality Ink Systems in the UK, working in partnership with sister company printhead manufacturer, Fujifilm Dimatix, to develop optimum ink chemistry for the printheads. As part of the design process, printhead jetting patterns are tailored to the ink to achieve the best performance and reliability. Trusted and reliable Fujifilm Dimatix printheads are configured in OnsetM and feature a single printhead replacement design. OnsetM also has an on-board optical printhead alignment and calibration system to make printhead replacement easy, and also deliver the quality and productivity of factory installed printheads. The long service life and reliability of Dimatix printheads ensures that the OnsetM delivers a lower total cost of ownership when compared to other inkjet presses that require regular and more frequent printhead replacement in order to maintain print quality. In the end, Onset M offers a lower total cost of ownership. A full-width array of printheads results in lower banding defects than narrow arrays, and creates a smooth finished print. Full-width array also allows for maximum print speed potential. Inca’s iNozzle intelligent nozzle mapping system maintains print quality even if printhead nozzles are missing or deviated which would otherwise be seen as very visible print defects. The Mechanical Substrate Height Detector system detects lift across the material and ignores small defects in the surface which do not pose a risk to the print carriage, reducing unnecessary stoppages and downtime. The automated cleaning station helps to maintain the printheads without manual operator intervention, avoiding compromising on throughput and quality.